On the 16th of March 2019, Turkmen-Bahraini business forum started its work in Ashgabat. To attend this event, a reputable delegation consisting of the representatives of business structures of the Kingdom of Bahrain arrived to Turkmenistan. 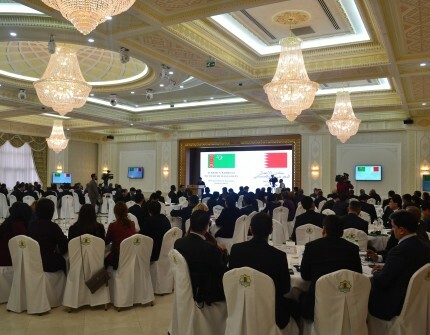 The heads and representatives of the ministries and agencies, as well as the organizations and companies of private sector of Turkmenistan and Bahrain participated in the business forum.